Some Greater Sage Grouse migrate to winter habitat, but most live their lives within relatively short distances of where they hatched. 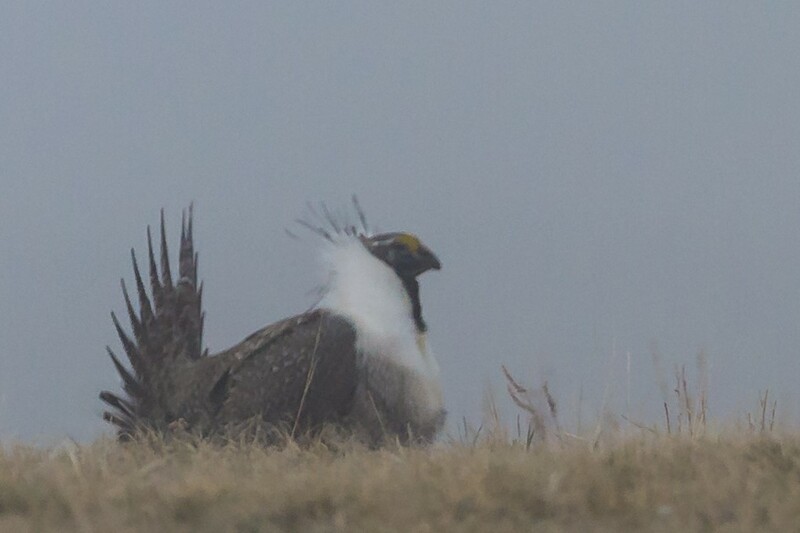 Adult male Greater Sage-Grouse compete for female attention by competitive dancing and vocalizing on Leks. Some leks can have over 50 males at a time. 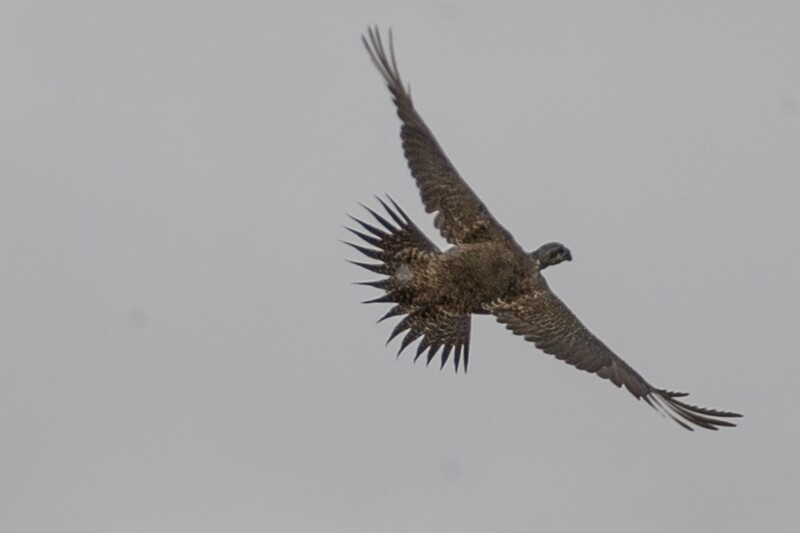 A female Greater Sage Grouse in flight. Greater Sage-Grouse forage on sagebrush, forbs and insects in wet meadows and riparian areas during the summer months. Two Greater Sage Grouse males duke it out. Lekking behavior is mainly found in birds, but also occurs in some mammals, pinnipeds, marine iguanas and fruit bats. The Montana Sage Grouse habitat Conservation Program works to sustain viable sage grouse populations and conserve habitat. Montana’s Sage Grouse Conservation Strategy is based on the collaborative work of diverse Stakeholders. 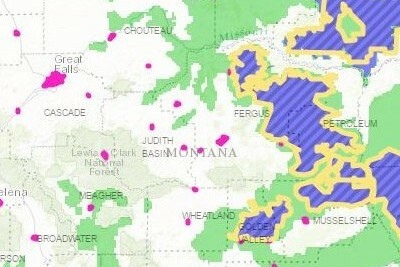 The Montana Sage Grouse Oversight Team and the Program implement Executive Order 12-2015 and the Greater Sage Grouse Stewardship Act in partnership with, landowners, state and federal agencies, and many private diverse stakeholders so that Montanans maintain control of their lands, wildlife and economy. 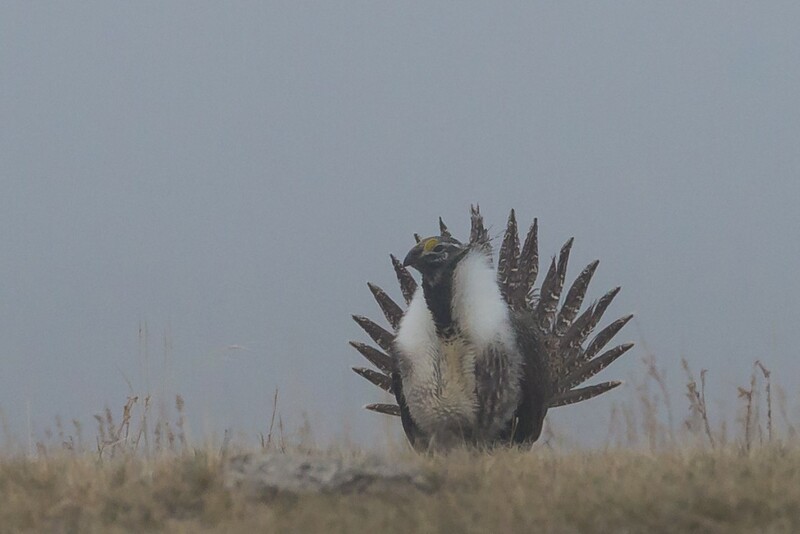 © 2019 This website and the Montana Sage Grouse Habitat Conservation Program are hosted by the Montana Department of Natural Resources and Conservation.